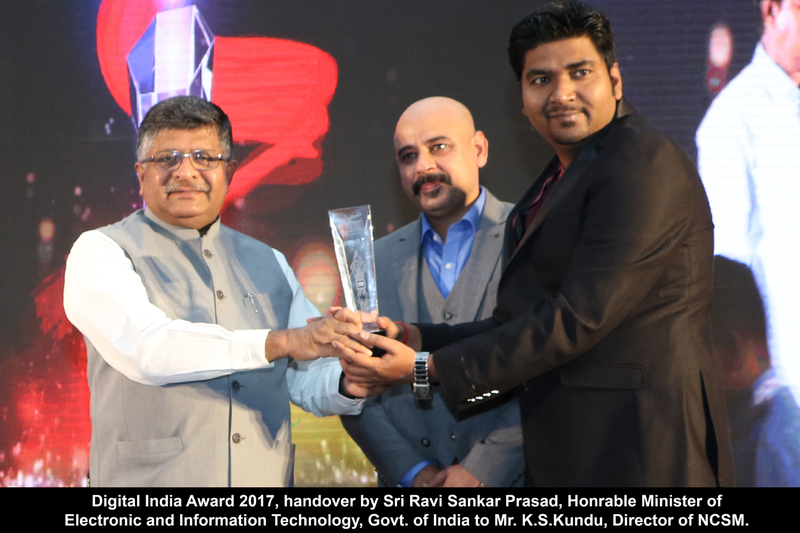 NCSM got Digital India Award 2017,and the award handover by Sri Ravi Sankar Prasad, Honrable Minister of Electronic and Information Technology, Govt. of India. India's No1 : NCSM got National Award of Best Training Organization in IT training in PAN India (2015-2016) from "Education Council of India, NCT, New Delhi ". The award was hand over By Hon’ble Governor Sri B.P. Singh at New Delhi. NCSM is the leargest Training Partner of NDLM Project in India with morethan 38000 registration. Now Training Partner of PMGDISHA. National Computer Saksharta Mission (NCSM) welcomes you on his official website. Today computer is a part of our daily life. Now computer education is backbone of modern generation, for this essentiality NCSM start various computer training programs throughout the country. The main focus of NCSM is to promote computer education for all. We invites all Indian to join the golden mission of computer literacy.